and some snorkeling stuff too! Although there are a number of links listed at the bottom of the page pertinent to snorkeling, the primary focus of the this page is to list companies who serve the scuba diving client. Some of the outfits below do integrate snorkeling activities, but if you are interested in snorkeling day trips, you would probably be best served by looking at the Day Sailing page. Virtually all of these groups offer day trips, instruction, rentals, and certification programs for divers ranging from beginners to advanced. Some of these outfits offer "rendezvous service" to folks on charter boats, where they will meet you at your chosen dive site. This is a great alternative to carrying equipment around throughout your entire charter. They all belong to the Dive Operators Association of the British Virgin Islands. They each have their own flavor and services that they emphasize, so go to their sites below and you'll learn plenty about the scuba in the BVI! Don't forget to check out the new link below, with hundreds of underwater BVI video segments! Jost Van Dyke Water Sports' claim to fame is to provide "an endless range of guided and self-guided activities." They offer snorkeling, scuba,eco-tours, land adventures, not just on Jost Van Dyke, but throughout the BVI. Customize and plan your own adventure. These folks love what they do. Capt. 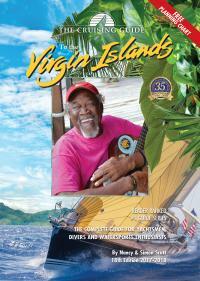 Colin has become a legend in these islands, he and his staff will give you a taste of the BVI that you'll never forget. Dive BVI offers daily dive trips, as well as rendezvous service. They have three locations: two on Virgin Gorda and one on Marina Cay (off the east end of Tortola). Jeff and Casey are a real favorite among many repeat BVI visitors. They welcome sailors and landlubbers, and they offer snorkeling and sightseeing adventures to those not wanting to dive. They are a great choice for those wanting to go to Anegada. Check out their very informative Web site. Blue Water Divers has two Tortola locations - in West End (Sopers Hole), and at Nanny Cay. They offer instruction to all levels, diving trips, equipment rentals, and rendezvous service. These folks are well-like by folks who use them time and time again. Check out their informative page of diving sites. We Be Divin', now affiliated with AquaVenture, is the only dive outfit on Anegada, where they been granted exclusive rights to dive the Horseshoe Reef. They're located at the Anegada Reef Hotel. This is good news! Sail Caribbean Divers is located st Hodges Creek Marina (Tortola), as well as on Norman and Cooper Islands They offer a full service dive shop and watersports rental business, including snorkel & scuba gear, kayaks, floats, fishing equipment, and more. They pretty much do it all - from rendez-vous services, qualified PADI instruction, and dive ventures of all kinds on their top notch, customized diving vessels. FYI ~ Ria O'Hagen, who did all the maps & artwork on the "The Guide to Diving & Snorkeling in the British Virgin Islands" (shown below), is one of the professional dive masters here. The Cuan Law, operating from Tortola, is the largest sailing trimaran in the world, offering luxury live-aboard dive adventures. This is for folks who want to live in comfort and dive, dive, dive! They have a great web site full of diving information. Check out their listing of dive sites. 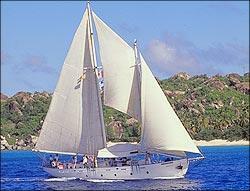 Kilbrides Sunchaser Scuba, located on Virgin Gorda, offers a variety of services trips, as well as rendezvous service. They welcome divers of all levels. Furthermore, Sunchaser offers a very broad range of instruction from children to Dive Master certification. Check out their listing of dive sites. The Dive Operators Association of the British Virgin Islands is an association made up of the the outfits on this page (and more). Dive Operators donate significant time, equipment, boats, and expertise to further the responsible development of their trade, in a addition to helping their fellow BVI citizens through many projects. 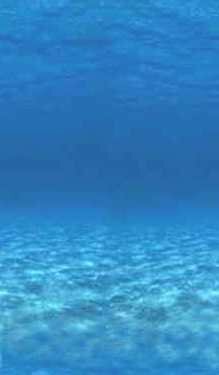 This site is quite informative for divers, as well. Here's a list of descriptions and links to some great Day Sail outfits in the BVI. A day sail is a great way to see the islands a bit. All of these outfits offer snorkeling tours. It's the best way to go! YouTube has hundreds of videos of diving in the BVI. Get a good underwater look at the wrecks, the Dogs, the Indians, and much more. This can actually be helpful in deciding between a couple dive stops. Notice the video length when selecting. Some are short and sweet, while others quite extensive. A very cool resource, in deed. Tip: The link to the left is a search based on the words "diving" and "BVI." Try some other words like "scuba," "snorkel," etc. to find some other clips. 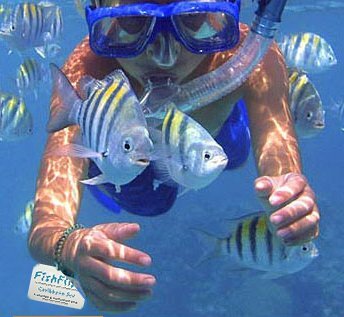 Here's a list of well-loved snorkeling & diving locations - some well known, some not so known ! off-beach sandy bottom snorkeling at Manchioneel Bay (Cooper) - rays & turtles ! Click the scuba tanks to go to the designated web sites. Fishes: Greater Caribbean App-- app with a terrific database of 1600 shore-fish fauna for the Apple iPhone, iPod touch, and iPad. It works offline. Florent's Tropical Reef Life Identification Guide is a tropical reef life collection of hundreds of fantastic photos. Words cannot do this justice. Check it out. Oceanlight.com is a natural history photography site of Phillip Colla. Although this includes all aspects of natural history, the photo collections of ocean life are unbelievable. Larry, aka Honeymoon2, has an unbelieveable collection of underwater pictures in the BVI. Check out his SmugMug site, and look for the diving albums. Cuan Law, one of the dive outfits listed above, has great list of BVI dive sites. Check this page out, along with their sample itinerary. Choosing your gear -- Choosing the right equipment is extremely important. If you don't own snorkeling gear, consider buying your own gear before you go. A good fitting mask is critically important if you want to enjoy snorkeling. My advice is to go to a diving shop where experienced staff can ensure you get a proper mask fit. Pay a little more, and buy a silicone (vs. rubber) mask. Face shape, mustaches, and nose size should all be accurately accommodated. There is also an interesting range in snorkel types. Again, I think it's worth a few bucks more to buy a higher quality snorkel with a silicone mouthpiece and a purge valve. If snorkeling gear is included with your charter, you may want use the provided fins to save luggage space. However, I cannot overemphasize the value having a perfectly fitted mask. Simply Scuba is a site with detailed info on how to select a mask, snorkel, fins, prescription masks, and all other diving gear. Click the scuba tank to the left to read through it. You'll be glad you did. The B-V-I Guide (commercial site) has a pretty good scuba and snorkeling section. The Frames version of this site is very hard to navigate. Stay with the No Frames version. Sorry... these are currently out of production. Go to the "Stuff for Sale" page. for the snorkeler and diver in the BVI. Regular - 9 1/2" X 6 1/4"
Pocket size - 4 1/2" x 6 1/4"
Forty card pages showing 80 beautiful, full color photos with the fishs name printed big and bold enough to read without bifocals. Compact, waterproof, and convenient, this makes a great gift for friends and crew. The Guide to Diving & Snorkeling in the British Virgin Islands"
This diving and snorkeling volume is the master guide to the underwater world of the BVI ! Jeff Williams has "lived" this world for decades, and has produced the ultimate reference. EVERY BVI scuba diver should possess this book, which gives a thorough account, including maps, diagrams,and detailed directions, to safely & enjoyably explore 77 sites throughout the BVI. Because information like depth, currents, and other site features are clearly described in each briefing, scuba divers and snorkelers are clear about which areas of a given site are best for them. This is the real thing! 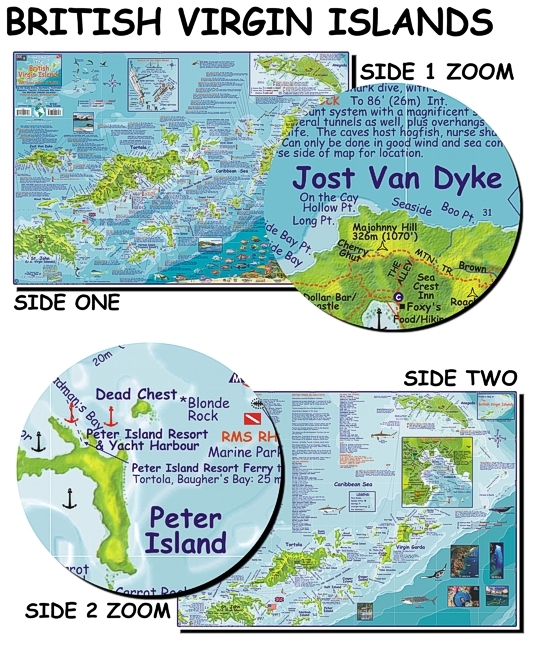 Franko's Maps has produced this one-of-a-kind map showing every notable scuba and snorkeling site in the BVI. 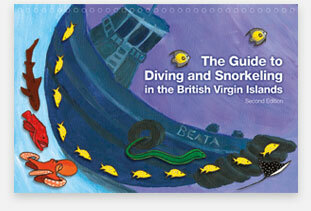 This is not just for the diver - it's a must for any BVI visitor. It includes main boating routes, land features, dive shops, 100+ fish and coral ID pictures, anchorages, and much more. The BVI Dive Association, and numerous other experts and locals, helped edit Frankos Map to make it the most accurate and useful resource of its kind. 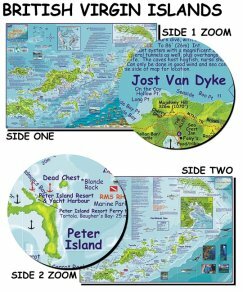 This 28" x 18" map is foldable, and printed on waterproof, rip-proof, plasticized paper, for durable use on your BVI adventure. For lots more hot tips for the BVI sailor click here.